Afc Gaming Zone-Catherine First Look!!!!! Now as I mentioned millions and millions of times before, in a few weeks time I will be playing one of the most anticipated titles in gaming this year (besides Call Of Duty 3) Catherine. I will be doing some gameplay videos for the Afc Gaming Zone YouTube page to show you how it works. But before that happens, your probably wondering what this game is all about. Well have I got a treat for you, here is your first look at Catherine. Catherine is a game in which you play as a single man named Vincent Brooks, a man who enjoys hanging out with his friends at the local bar known as The Stray Sheep and who want’s to remain as a independent person with out having to get married and raise a family. However, Vincent’s lover, Katherine whom she has been friends with since childhood decides that it is time to think about settling down and starting a family. Vincent not too thrilled with the idea and is not ready to make the plunge decides to head over to The Stray Sheep to think things over, there he meets Catherine. A young twenty-two year old who manages to hit things off with Vincent in which they end up spending the night at his apartment. But things manage to take a turn for the worst when Vincent starts having nightmares about marriage, having kids and other things that a future married man would face. Overall the game consists of puzzles in which you help Vincent climb up a series of staircases which consist of giant blocks that you need to move, push or pull out of the way in order to reach the top. The game also features ethical decisions in which determines how the game will progress. I won’t go into much detail on this yet, but overall it is a really interesting feature added to make the game more exciting. But in conclusion, I am totally pumped for this game and I can’t wait to get my hands on it. So if you would like to see a sneak preview of the game, watch the video above. Also you can check out a full walkthrough of the game by going to TokyoDomeSF’4’s channel on YouTube (Click on the link at the end of this post). There you will find a complete walk through of the game for PS3 along with some witty English translations. I enjoyed it, but I did not watch the ending so that it doesn’t ruin the experience for me. So for those of you who want to watch it all the way, do so at your own risk!!!!!! 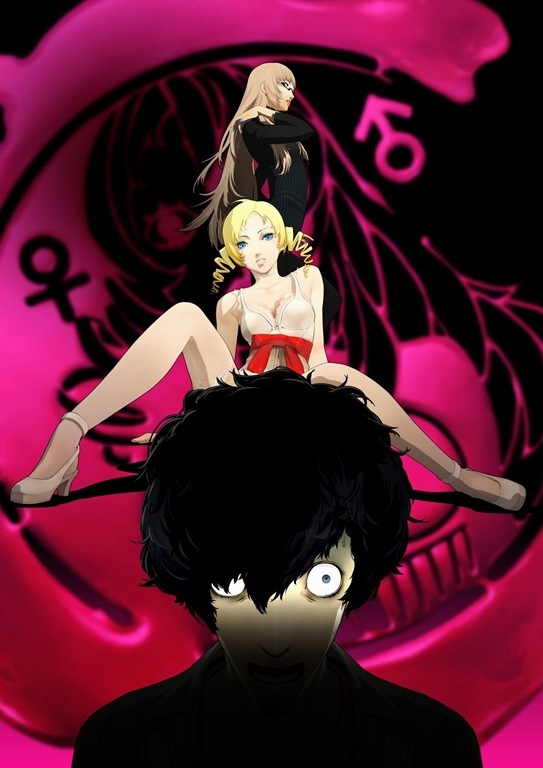 And with that, this will wrap up my first look at Catherine. So make sure to stay with us for exclusive footage and commentary of the game as well as my full review in the weeks to come. So until next time, remember that there is a ton of great anime, manga and video games out there. All you have to do is find them. Ltrs. You are currently browsing the Anime Full Circle blog archives for July, 2011.